The Great Awakening, which swept the American colonies in the 1740s, arose in response to the increasingly pedantic tone of Congregational ministers and the increasingly structured and formal organization of the churches. Instead, those ministers involved with the Great Awakening (who became known as New Lights as opposed to the Old Lights who favored the traditional ways) looked to shift the emphasis of their congregants to a religion based upon spirituality. Among the best known of the New Lights were Jonathan Edwards and George Whitefield. 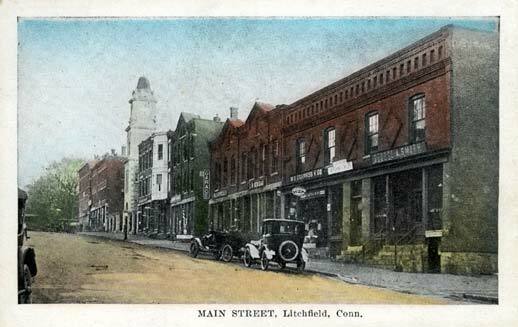 Litchfield County, a bastion of traditional Congregationalism, was only lightly touched by the Great Awakening. 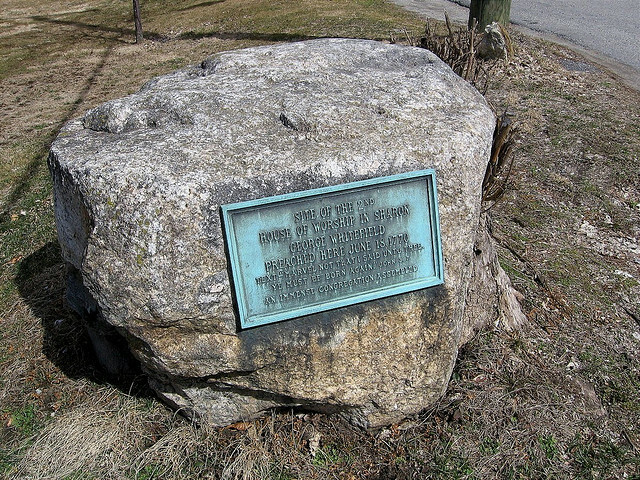 However, Whitefield preached in Sharon in June of 1770, an occasion commemorated with a marker that still stands on the Sharon Green. Whitefield was born in England in 1714 and first came to the American colonies in 1738, landing in Georgia. He preached there for about a year, returning to England to raise money for an orphanage to be built near Savannah. He traveled to the colonies again in 1740, preaching before thousands in New England and New York, before traveling on horseback from New York to Charleston, the longest such trip undertook to that time by a European. 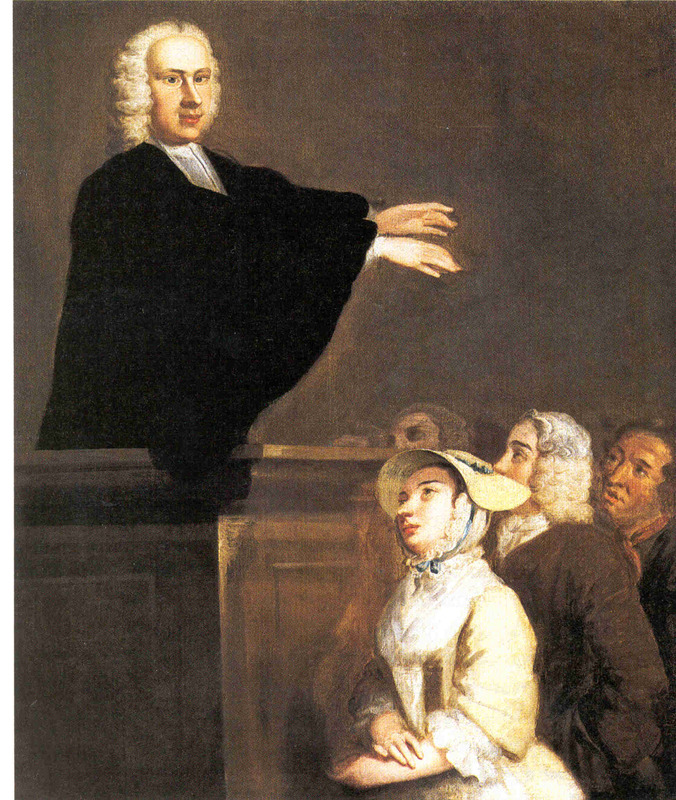 Another image of Whitefield preaching. 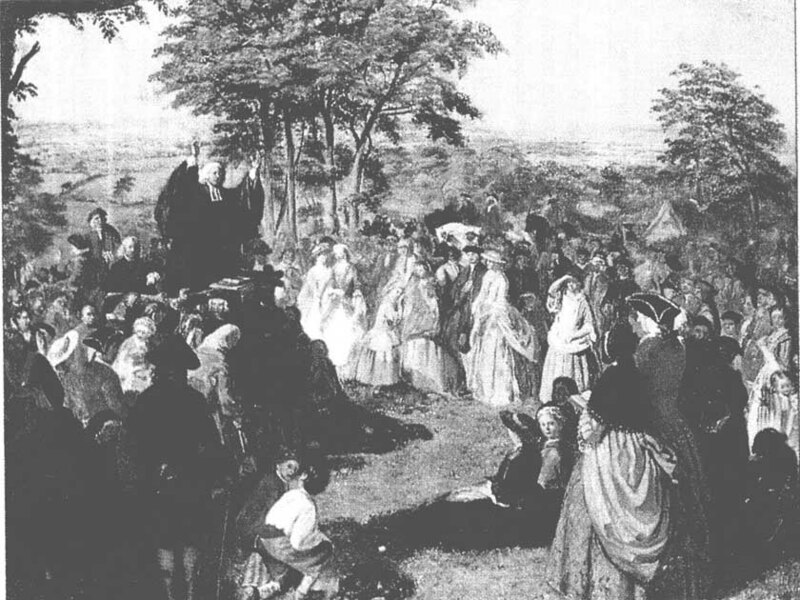 A devout Calvinist, Whitefield believed that God maintained sole agency over salvation, but did freely offer the gospel, ending his sermons by saying, “Come poor, lost, undone sinner, come just as you are to Christ.” Whitefield preached to tens of thousands during his many visits to America, and his sermons were tremendously influential. By challenging the traditional power structure of the Congregational church, he planted seeds in the minds of Americans that they could also question authority in monarchical government. 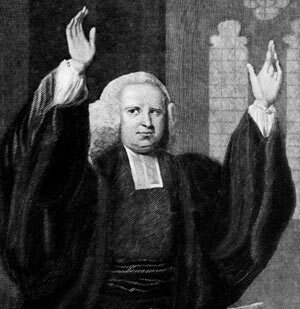 While Whitefield died in September 1770, a few months after his visit to Sharon, the town’s ardent commitment to the patriot cause was perhaps influenced by his preaching.